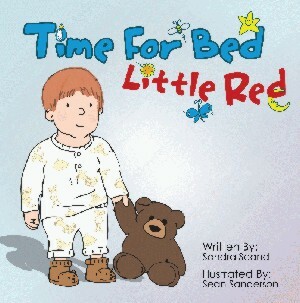 It's time for bed, the clock is ticking, but little red wants to do other things instead! All parents and caregivers of young children who have ever experienced "The Bedtime Ritual" will enjoy this story, especially the little red headed ones! This book is the sequel to Time for Bed Little Red. Little Red has had a bedtime snack, he's had lots of fun playing in the bath and enjoyed story time. He's all tucked in for the night, or is he?